Paper Masters helps students write research papers on black studies. Custom written sociology projects can be focused on the Black Studies and the history, culture and politics of African Americans. It is a unique, culturally-centered way of looking at the black experience outside of Africa encompassing literature, arts and religion as well. 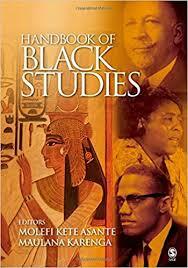 Many black scholars, beginning with W.E.B. DuBois, attempted to gain control and understand black history in academia in the late 19th century. Much of the black experience had been shaped by slavery, and African Americans had largely been denied their own voice for centuries in America. During the Civil Rights movement of the 1960s, black student leaders at colleges such as UC Berkeley began to stress the need for not just greater voices for black students, but academic study of their history and culture. By 1968, the Afro-American Student Union (AASU) at Berkeley began demanding the establishment of a black studies program. Following the example set at Berkeley in 1969 with the creation of a black studies program, numerous universities across America followed suit. By 2013, ten major universities across America, including Harvard, UC Berkeley, Michigan State, Yale, Temple and the University of Pennsylvania offer Ph.D. programs in African-American studies. Numerous more schools across the country offer Bachelor-level degrees in the field. Humanities: Africana Studies - Africana studies is also more broad in focus than black studies, which proliferated during the 1960's in response to the efforts of the civil rights movements. Psychology of Blackness research papers discuss this psychological perspective that tries to include the unique worldview of African-Americans. African Slavery Research Papers on the African Slave Trade African Slavery research papers explore slavery from the point of view of the African Slave Trade. Order a research paper on African slavery from Paper Masters. Berkeley High School Students research papers discuss the background, family life, and activities of hypothetical high school students. Paper Masters writes custom research papers on Black Studies and examines the interdisciplinary academic subject that combines elements of the history, culture and politics of African Americans.